It is no secret, I'm an accessories girl. I love earrings, necklaces, bracelets, all of it. And if it is a statement piece, there is a 99.9% chance that I will love it. Statement pieces are often heavy, which is fine if I'm wearing it around my neck, but not on my ears. 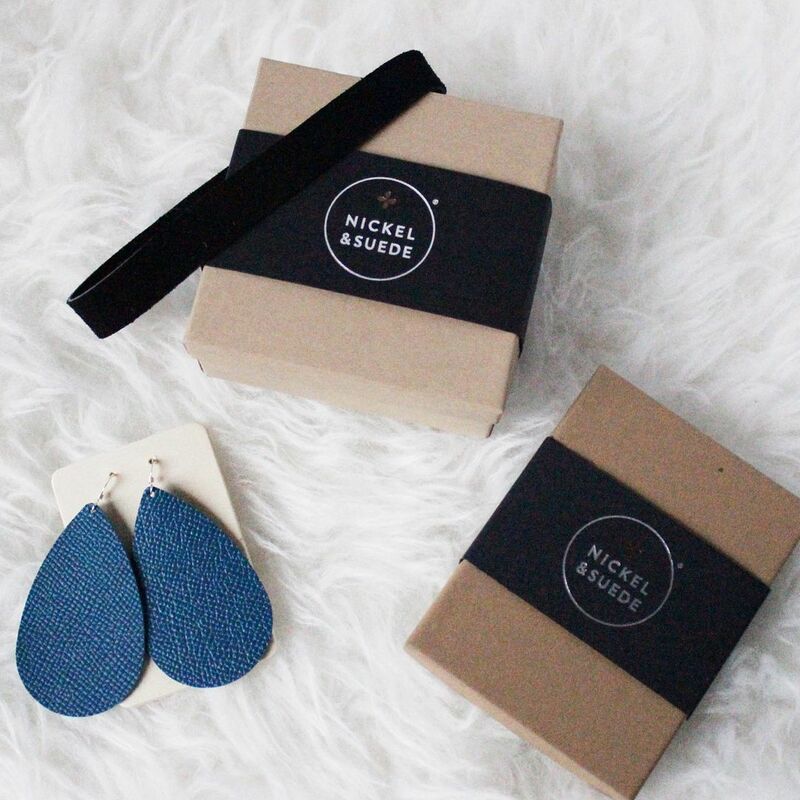 Enter the incredible lightweight leather earrings from Nickel & Suede. 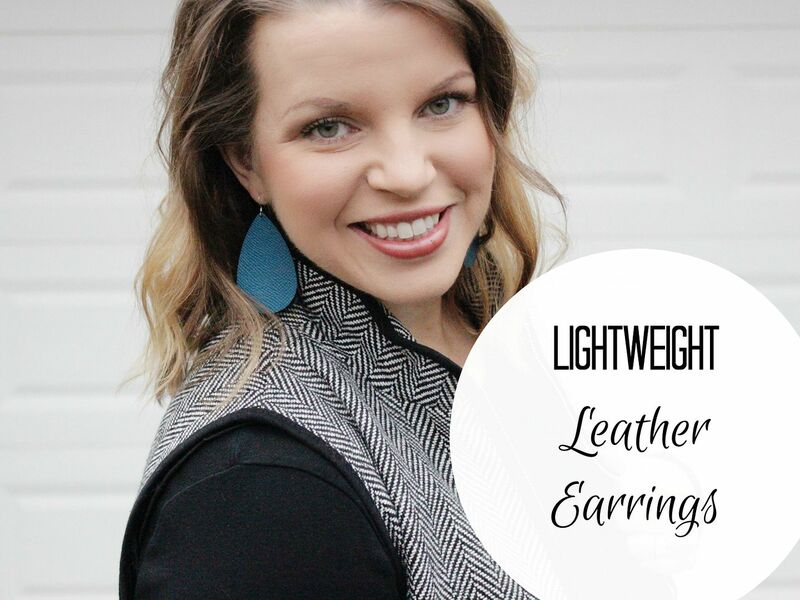 These leather earrings are so lightweight that you cannot even feel them when you wear them. So ladies with sensitive ears, you don't have to worry a bit (and they are nickel free to boot!). The thing I love most about Nickel & Suede is that they have tons of options. TONS. You can pick virtually any color you want and there are plenty of styles. 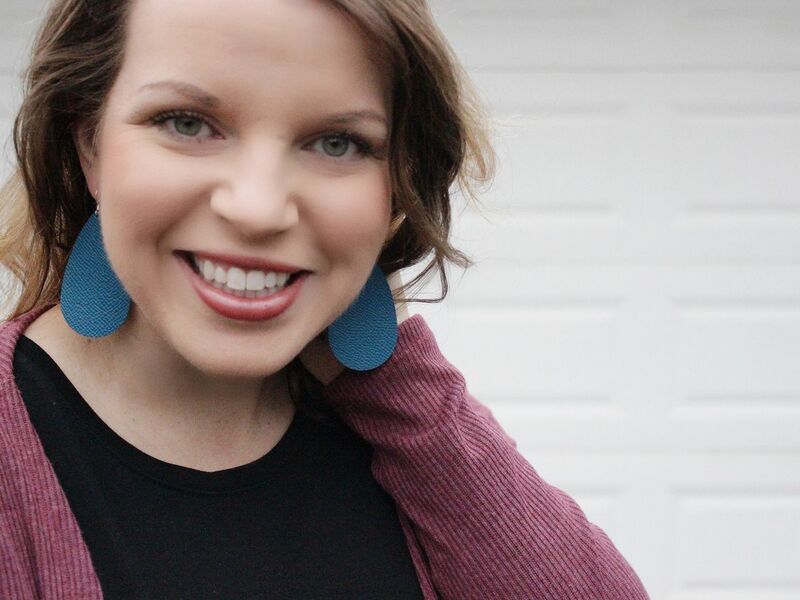 I'm wearing Nickel & Suede's earring of the month, Gypsy Teal (get them on sale through tomorrow!). 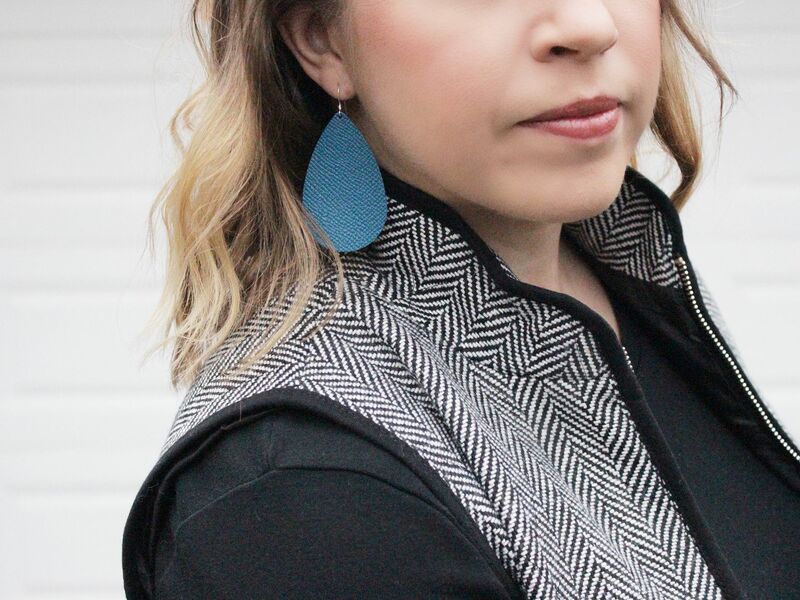 The style of the Gypsy Teal earring is their basic style, but you can also find woven, cut-out, suede, shimmer and more. I'm currently eyeing all of their reds and pinks for Valentine's Day (hint hint, Tolar). The earrings come in sizes Small, Medium and Large. I am wearing the Medium size and I'm looking forward to ordering the other two sizes to see how I like them. 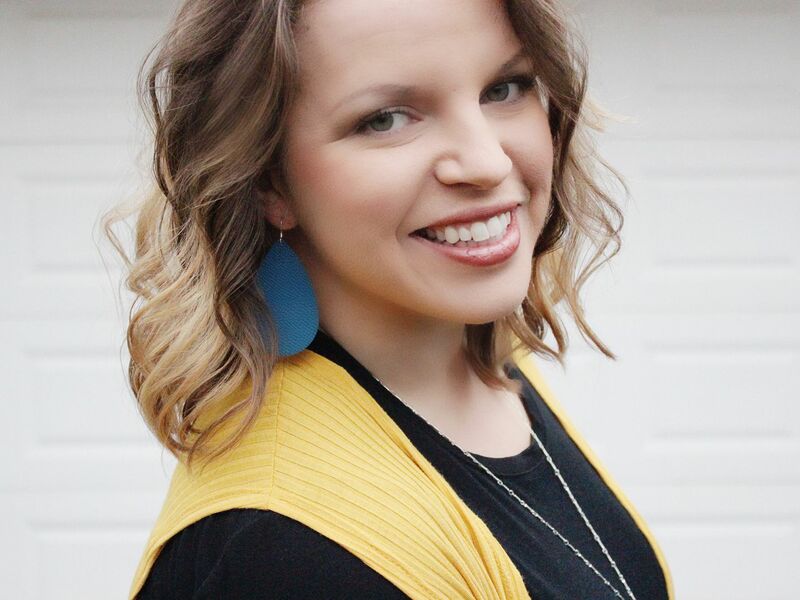 I have found the leather earrings to be extremely versatile. I can wear them with my hair down or up; wearing them with my hair up gives me more of a dramatic look - which is fun. And they go with so many items in my closet. That is my main reason for buying accessories, to dress up the items I already own and give everything a completely new look! One of my recent goals is to try and incorporate more color into my wardrobe. I wear a lot of black, which I love, but I feel my personality is so much more than that. So I've started branching out to add more color. Hence the reason I went with the Gypsy Teal color. The color is gorgeous! And it pairs well with so many other colors. I'm showing it here with a few different outfits for you to see. If you want to grab the Gypsy Teal at a great price, hop over to the website today or tomorrow and scoop a pair up for yourself before they are no longer the earring of the month! Nickel & Suede offers more than just earrings. 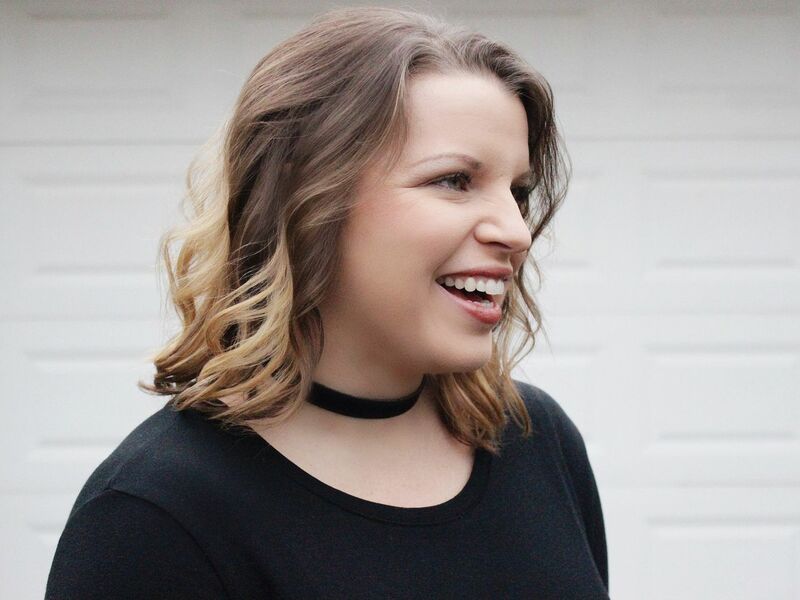 I fell in love with this black leather choker (chokers are back in style, did you know?!?). So if you are looking for something unique, different and guaranteed to get you lots of compliments, then I 100% suggest you purchase something from Nickel & Suede. You won't be disappointed. Thank you Nickel & Suede for sponsoring this post! earring are always a fun way to add a pop of color to an outfit.